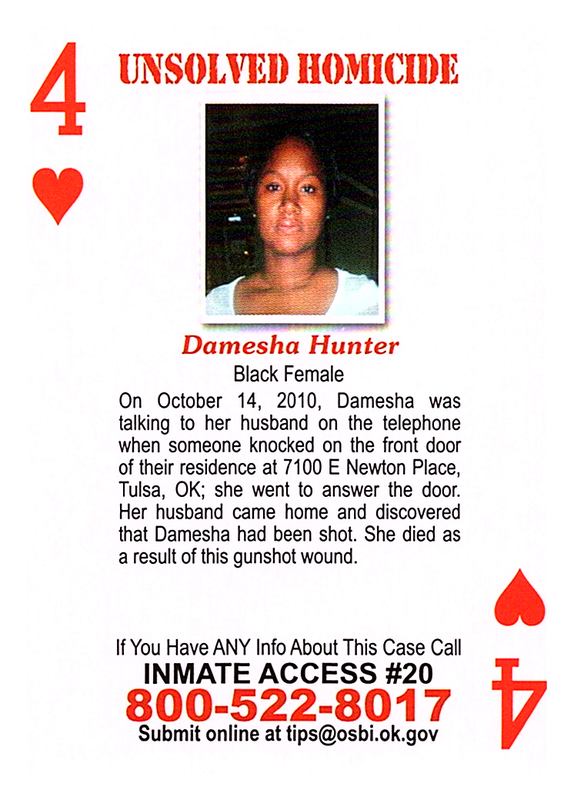 On October 14, 2010, Damesha was talking to her husband on the telephone when someone knocked on the front door of their residence at 7100 E. Newton Place, Tulsa, OK; she went to answer the door. Her husband came home and discovered that Damesha had been shot. She died as a result of this gunshot wound.